.....To accelerate your compost pile? 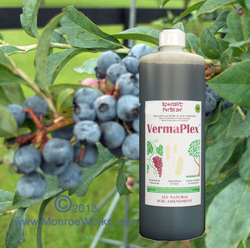 VermaPlex™: Not Just a Garden Fertilizer. Apply to your compost pile. 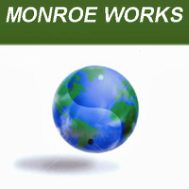 Want to "super-charge" you compost pile to break down hard-to-compost wood chips faster? Do like we do, every time you add something to your compost pile, spray with a soil balancer like VermaPlex™ diluted in water and you can encourage an incredible army of microbes to work for you. Adding a “starter culture” to compost piles has been shown to accelerate the decomposition process. VermaPlex™, with its soil balancing capability, is the ideal addition to your compost heap. Studies have shown that lignin , the complex chemical compound in wood which is indigestible by most animal enzymes. That’s why wood in compost piles seemingly never decomposes. But there are certain bacteria that are able to break down lignin compounds and these microbes can be stimulated and encouraged. Balance your compost pile with VermaPlex™ and feel free to add wood chips and saw dust to your heap. You’ll find your compost pile, whatever its composition, breaks down faster and the nutrients in the compost are more readily available to your plants.